DVDs MUST BE played on a DVD or BluRay player that is connected to the TV via and HDMI CABLE ONLY or played through a computer. Ran out of time to see the movie when you were on the island? Well, don't miss out! You can get a copy delivered to your door using a secure PayPal site. We can't help with the popcorn at home, but seriously, it's not that hard! "A Local's Tail" introduces local characters, community colour, and the struggles and triumphs of the island pioneers - past and present. 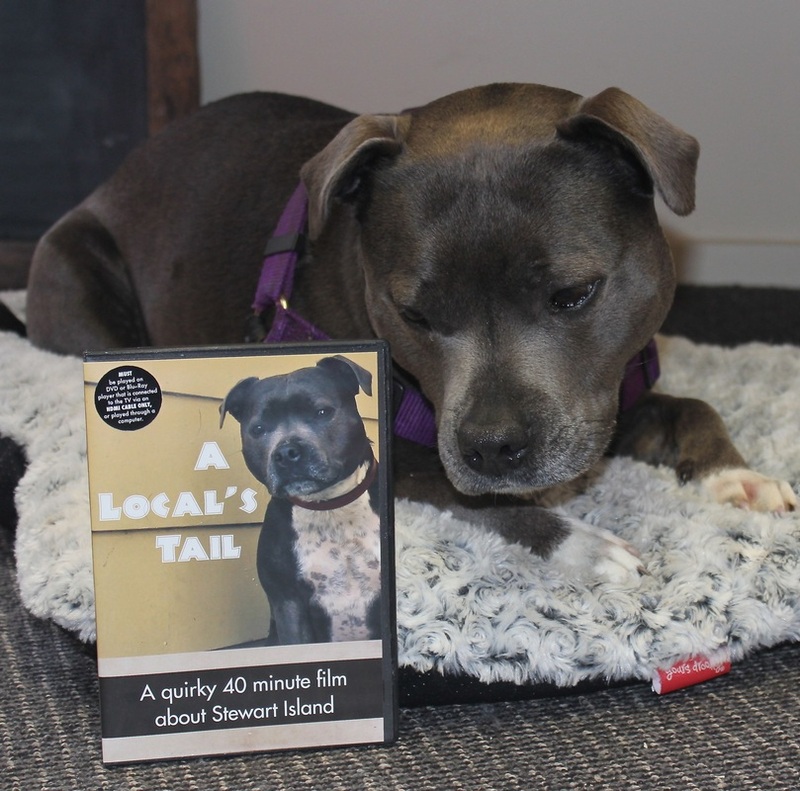 This delightful quirky 40 minute film, answers the myriad of questions that visitors have about the ‘why’ and ‘how’ of Stewart Island, from the most reliable of all sources - the pub (or more accurately, from the yarns overheard at the pub by a local dog). 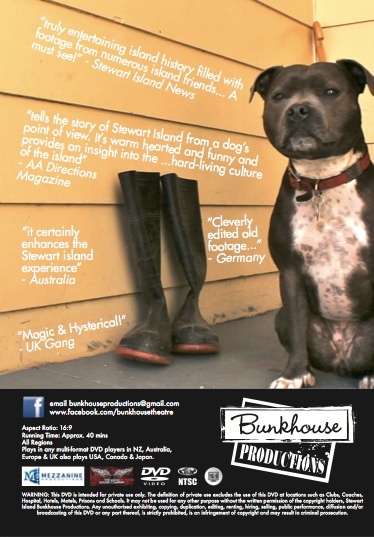 To find out more check out the reviews or see the trailer.